Antiques for sale, collectibles for sale ads in Brisbane. 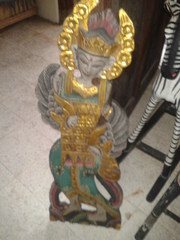 Thank you for visiting our free advertising website Antiques for sale, collectibles for sale, Brisbane section. We provide high response free classifieds and free advertisement. Use our online free Antiques for sale, collectibles for sale classifieds placement system to find, list, offer Antiques for sale, collectibles for sale online! Buy Large Canvas Wall Art from the astounding collection of wall artworks available at the image gallery of Christian Chapman for viewing and Sale online. It is perfect for the decoration of your most-loved place and it will also add artistic flair and a splash of colour to your favourite room. You can choose the wall art suitable for your home at very affordable prices. The prominent artist from Australia offers tattoo portraits that are beautifully and dynamically designed with the help of masterful use of hand paint brush and airbrush techniques in a deep artistic way. These stunning portraits depict the unique and detailed attributes of the subject and are available for viewing and sale online. Motorfoucs is counted amongst the leading diecast manufacturing online stores. It is backed by years of experience that help it deliver unparalleled products and services. It has created an impressive and reputable image in the market with its creative designs and models. This manufacturer offers a massive variety of miniature cars, trucks, and motorbikes. Forced sale - moving house - entire bundaberg rum collection for sale. please contact me for further details. 18th Century Scandinavian Pine Pantry, or Wardrobe. 18th Century Scandinavian Pine Pantry, or Wardrobe. Charming, solid and rustic, excellent in country kitchen, Queenslander house, urban home, farm or beach cottage. Originally purchased in 'High Street Antiques', Melbourne. Original buying price AUD$1800. Has inside shelving pantry-style and two generous bottom drawers. 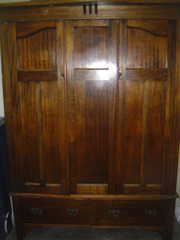 Antique Oak Wardrobe. Elegant, Classic. Antique Oak Wardrobe Antique Oak, Classic Style Wardrobe. Elegant, beautifully made. Seller sought for many months to find this piece for a Federation Cottage in Victoria. Purchased at Tyabb Antique Warehouse, Mornington Peninsula. Is easily movable in 3 pieces. Gorgeous in Charming Queenslander homes, Federation or Victorian Era homes. Good quality candles for any occasion .we have candles with different colors and Scents. 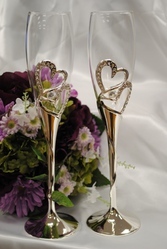 Buy Candles for Christmas, Weddings, and Valentine’s Day and for any precious movement. We have Christmas, Tin, Weddings, Valentines candles and for any precious movement.Visit at:http://www.lilyflamecandles.com. Range of antique jewellery including antique rings, antique brooches, earrings and other jewelry. Based in historic Battle, UK with worldwide delivery. Promotional Items, Promotional Products Brisbane, Promotional Carpenters Pencils, Printed Tote Bags all types of promotional products are available online at leading brand of Australia.Promosource.com.au is potential promotional product provider which offers wide range of promotional items and product for your organization and businesses. We Buy Antiques- We look for the finest antiques available in any category, including but not limited to: American and European antique furniture, folk art, oil paintings, prints, jewelry and silver (especially Georg Jensen, Tiffany and Cartier), ceramics (hard and soft paste porcelain, Staffordshire, redware, majolica, faience, Oriental), blown and cut glass, toys, tin and glass plate photographs, nautical items Louis Vuitton luggage. PhoebesArt.com here offer you handpainted oil portraits with top quality and most affordable price. Worldwide delivery, paypal payment Wedding portrait paintings, children portrait paintings, pet, building, landscape and so on. 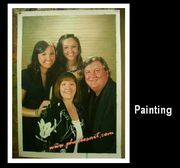 Don't hesitate to email us the digital photos which you would like to paint into oil art. Australia free ads for Antiques for sale, collectibles for sale, Brisbane, Antiques for sale, collectibles for sale free ads Brisbane, Antiques for sale, collectibles for sale for sale Brisbane, Antiques for sale, collectibles for sale to buy in Brisbane. Find on this page free classifieds for Antiques for sale, collectibles for sale in Brisbane. This listing includes classifieds for sale and to buy in Brisbane. FREEADSAustralia Brisbane offers you a platform to post free advertisements or classifieds for Antiques for sale, collectibles for sale in Brisbane. FREEADSAustralia helps you search, find buy, sell, rent or hire in various categories like apartments, goods for sale, local services, cars , jobs and many more in Brisbane. If you posted an advertisement in category Antiques for sale, collectibles for sale of FREEADSAustralia Brisbane before please use Edit my ads button to change or cancel your ad. Antiques for sale, collectibles for sale Brisbane ads Brisbane, Antiques for sale, collectibles for sale classifieds Brisbane, Antiques for sale, collectibles for sale free ads Brisbane, ads for sale Brisbane, ads to buy Brisbane, FREEADSAustralia. Find here ads for sale, to buy and rent in Brisbane. Goods for sale in Brisbane, vehicles for sale in Brisbane, Brisbane real estate for sale, Brisbane property for sale, property for rent in Brisbane, business ads in Brisbane, Brisbane business classifieds, services in Brisbane, Brisbane services ads, jobs in Brisbane, pets for sale in Brisbane, Brisbane dating, Brisbane cars for sale.